"Free Admission" RSVP required for Artist Reception. RSVP via Workmix Cafe Lounge Facebook page or website. Price: "Free Admission" RSVP required for Artist Reception. RSVP via Workmix Cafe Lounge Facebook page or website. The collection of photos depicts the wide range of human activities along the Ganga as it flows through the City of Varanasi. To Hindus, the Ganga at Varanasi holds a religious and cultural significance, and an embodiment of sacredness. I found it to embody a journey of human emotions, from celebration to disillusion to acceptance. The Ganga compelled me to confront the cycle of human life and death, up front and center. This collection of images is just the beginning of my journey through the stages of human life. I hope you enjoy the images. 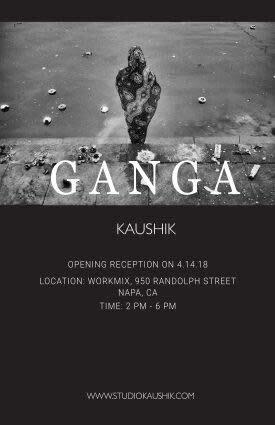 - Kaushik Kaushik is an architect and photographer. He was born in India and has lived in San Francisco Bay Area for the last 20 years. Kaushik has formal training in photography and cinematography. He has a passion for fine art, and focuses his work on architecture, landscapes and portraits throughout the U.S. and worldwide. 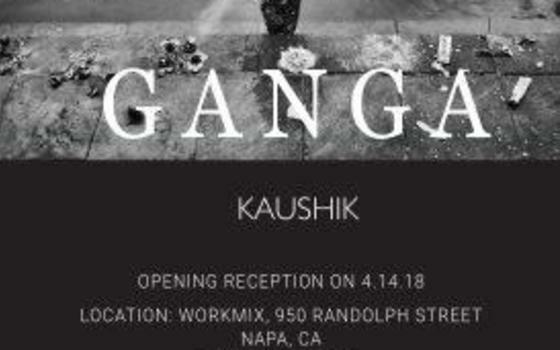 Aside from his exhibit in Napa, California, he will feature his work in upcoming exhibits in San Francisco, Macau, and New Delhi this year. Kaushik's work focuses on a unique form of patterns and textures -- a strong reflection of his years training as an architect. He believes in capturing the authenticity of the moment and prefers to create images without any structural manipulation. He uses a minimalist approach to his photography and cinematography, as he believes less is more.